Discussion in 'Shop Talk - BladeSmith Questions and Answers' started by Jessetheknifeguy, Mar 20, 2019.
i am working with some new steel (80crv2) and am having a hard time drilling the holes in the tang. I always have a hard time with that though I am using basic high speed steel bits and I annealed the steel before I started but the bits are getting dull fast and not cutting well. Any help would be much appreciated. What oils do you use? What kind of bits? Can I cool with a stream of water? I am very new to this whole thing and don't have a drill press or intend on getting one soon though I'm sure that would help. Reverse the direction of the drill and see if that helps. Natlek, 12345678910, Ken H> and 1 other person like this. I bought cobalt bits from drill hog and love them. I don't know what oil is best. But certainly use something. don't drill dry. +1 to cobalt bits. I use the Norseman/Viking Ultra S/P metal cutting and drilling lube that was recommended at USA Knifemaker though it's available elsewhere. It's viscous and sticks around a little better versus a runny watery lube. So you are using a hand drill? How is the blade held? Do u have a rigid setup to hold your blade? 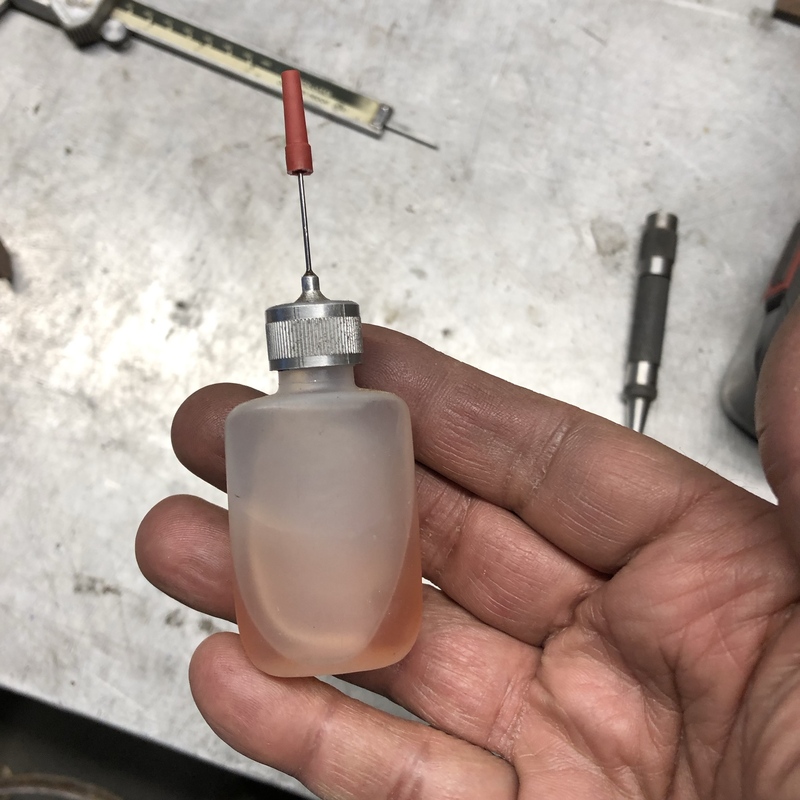 I generally drill dry in annealed material, if I want to use oil, I like these little bottles with a needle spout, you need very little oil for most of the holes we do and the other bottles just leave a big mess. If you want to use oil/coolant, practically speaking, "anything" is fine and will work. It's a knife, we aren't drilling into Inconel for aerospace parts. Frozen Bear Trading likes this. I am very new to this whole thing and don't have a drill press or intend on getting one soon. Do you know somebody that has a drill press that you could use? If so you would probably change your mind, drills much easier than a hand drill. I dont use any kind of coolant (because I use the same drill press for woodworking)and never have problems. I really like the USA made bits from USA knifemaker, the bits from lowes just aint the same. A drill press would definitely help. When in doubt, slow your speed and increase your pressure. If the chips and/or the bit are turning colors, you're getting things too hot and dulling your bit. If you want a good relatively cheap oil that works really well, grab a gallon of sulfur based cutting fluid at your local big box store. It'll likely be in the plumbing section where your pipe cutting/threading dies are. A couple drops per hole should be plenty. How big of a hole are you trying to drill? It may help to start with a smaller bit around the side of the webbing of the final drill size that you're going for. I've tried a bunch of those things. The oil and bits were the main problem. It works now. They were 6mm holes. I live in Germany so i dont have Access to all of these stores. A friend brought over a knife blade he made out of a file. He had ruined several bits trying to drill it. 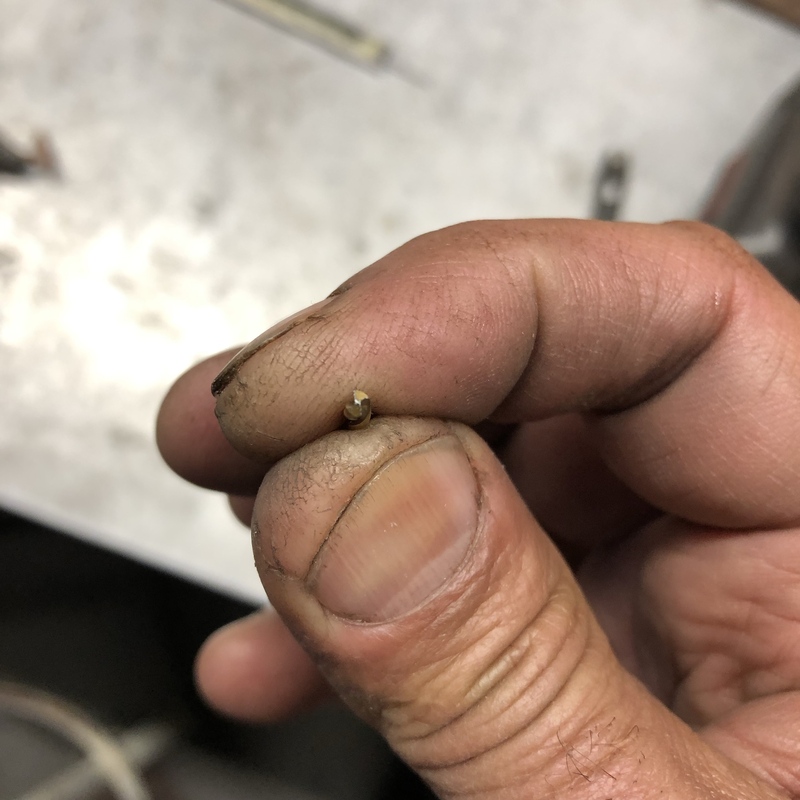 I used a masonry bit in my drill press and easily drilled the holes he needed. Masonry bits have a carbide insert. If you can, use a drill press, it will be much easier.